Design by Florence from Beyond Imagination. Powered by Blogger. For me, my go-to destination for style inspiration (totally didn't mean that to rhyme), is Instagram. 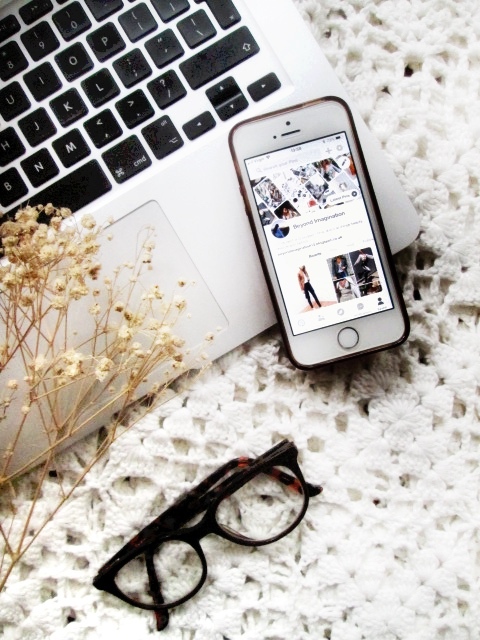 Out of all the social media platforms, Instagram is by far my favourite, with an endless feed to scroll through, this is my one-stop-shop for the ultimate styling gurus! I follow so many awesome accounts (some of which I think you will already know and others who deserve the recognition), so I thought it's time to finally share them with you. Blogger Aimee Song and New York Time's Bestselling Author of Capture Your Style showcases her feminine style, yet isn't scared to go bold. With over 4.6 million Instagram followers, she's my go-to-girl for head-to-toe fashion inspiration. Not only does she document her style, but also her travels and exotic locations. For me, she is as close to my own personal style, as I love her play on the contrast between feminity and tomboy style. I love Tezza's range of styles: from Californian teen to business women on the streets! As she is a creative director and self-stylist, you can count on her for imaginative photos as well as a rocking style. If you want to channel all Parisien vibes, then follow Monica (who is actually Spanish!). The rocker of thigh high boots and oversized jumpers, Monica's style combines luxe high-end and the 'I've borrowed my boyfriend's jumper' look. She owns the classic blogger style, and I'm all for it! Som particular pieces she wears (hint: the telephone jumper), remind me of a retro twist thrown into her everyday style. If you're a fan of red and neutral tones, then @livelyus is your girl! Her style is so simple, affordable and re-creatable, she has the perfect feed for a quick style fix. Who are your favourite Instagrammers for style inspiration? Wow, these outfits and the style of these girls is AMAZING. I wish I could get away with wearing things like that but I don't really have a style and everything I wear is pretty subdued. But I have bought a few pairs of slightly more colorful shorts lately for summer! I know how you feel! But I'm slowly starting to branch my style into more adventurous pieces, in the hopes that I can actually pull it off! I love Monica's account but don't follow any of the others- I'll check them out! Definitely check them out, I could spend hours just scrolling through their feed! Tezzamb is one of my favorite IG accounts around :) I really love her photos. Her photos are amazing, and a breath of fresh air! Whenever I try to shop, I always get so annoyed because I can never find things I've seen before and liked. Instagram gets a bad rep sometimes but it's so useful for inspo!